The crashing waves of the Pacific and the gentle laps of the Caribbean. The currency is in U.S. dollars, so you don't have to worry about the exchange rate. Panama is a land of dazzling extremes. It all depends how you want to spend your retirement years. Do you see yourself sipping Margaritas from your back porch in the evenings? Or do you prefer a more active retirement? How about gliding through a jungle canopy in the morning and attending the ballet in the evening? Of course, you could always just spending the day fishing instead. The decision to retire overseas means you get to savor new experiences. It means discovering the wonders of a new shore. In fact, if you are on a really tight budget, retiring abroad may be your best option. Panama's health care is up to European and U.S. Standards but costs half as much. 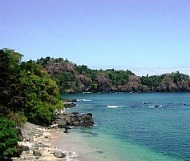 A complete physical in Punta Pacifica is less than $40.00. This hospital in Panama City is managed by John Hopkins Medicine International. Arrange for local health insurance outside the capital for under $200. Unless you plan to travel frequently. Then opt for International Insurance. Other tips for health care overseas include International Insurance which can cover you while traveling. Or maintain a home base address and keep your previous health coverage until you are ready to look at other medical options. Health tourism is a new and fast-growing trend for medical procedures. It offers significant discounted prices while you recuperate post-operatively on a beach or a mountain villa. When retiring abroad, the amount of taxes you must pay will depend on several factors. These include your country of origin and where you retire. Make sure to find out what those expenses are first. Share your "What to do in Panama" tips with visitors to this page! What do you consider to be the Top Things to Do in Panama? If you've been there, done that, why not help others by sharing your first-hand tips? Earn a minimum of $1250 and receive a tax exemption of $10,000 on the importation of your household goods. Also count on a tax-free import of a car every two years. And your pensions amount to $1000 each, apply for individual Pensionado Visas. Then you can retire in Panama and claim double the exemptions. Even if you establish residency overseas you still continue to be a citizen of your own country. Even if you are no longer a resident there. Find out more about residency options here. This visa is for retirees without a pension. It requires a lump sump deposit in a local bank so that you can withdraw a minimum of $2000 for monthly expenses. This visa requires a minimum $300,000 investment in Panama. It can be in the form of a bank deposit and/or real estate investment. For this type visa you will need an investment of $80,000 in managed timber. This is considered titled land. Simplify your trip to Panama with all the information you need in one place. Locate Airlines for domestic travel within the country as well as international travel to and from Panama. Setup online accounts before you retire in Panama or anywhere else. Other overseas retirement preparations include bringing along extra passport pictures. It is easy to cross borders to neighboring countries so take advantage of the opportunity. Smart strategies for cheap travel abroad include staying at hostels instead of hotels. And opt for public transportation instead of a taxi ride when you can. These are some of the techniques seasoned travelers know well. Panama Travel Tips and Recommendations are listed here for ideas on things to do while traveling within Panama. Choosing a retirement location should be simple and straightforward. First ask yourself how close (or how far) do you want to be from your family? If you decide to retire overseas, proximity to an airport may be something to consider. Know the basics before retiring overseas. Here is a breathtaking mountain escape 30 minutes from the Pacific coast and 2 hours from the nightclubs and casinos of Panama City. A small colonial town snuggled near the coast of the Azuero Peninsula, Las Tablas is an area well known for great fishing. In "Playa El Estero" and "El Jobo" in Las Tablas, you can rent a beachfront home for under $400 a month. Here, you can retire in Panama and live extremely comfortably in this quiet spot for $1200...Including full-time maid services. The largest expatriate community in Panama resides here--Amid rolling hills and flowering mountains. With its quaint shops and restaurants, a fully-furnished small house rents for about $600 a month. You can also find an apartment for about $400. 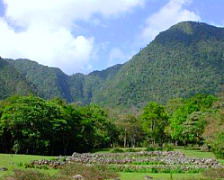 Boquete is a popular place if you are seriously looking to retire in Panama. Here is an affordable spot to retire in Panama. With a population under 3000, this small town offers breathtaking waterfalls and rivers. Rent a house for under $300 and spend your time fishing, tubing, hiking and horseback riding. In your hunt for the best places to invest look for retirement places where tourists regularly visit. When investing during retirement search for a stable government and signs of foreign investment. This area houses an exclusive neighborhood with luxury high rises near offices and shopping. It includes stunning ocean views from just about anywhere. Home to the most expensive real estate in Panama. This is the heart of the banking and business center, located along the oceanside boulevard. Here is where the best nightlife can be found. The area is also rich in tourism. This road reaches out to the ocean with fantastic opportunites for boating. Searching for a place to retire in Panama that is rich in history? This is it. Brick-paved streets are lined with restaurants and sidewalk cafes that lead to the sea. 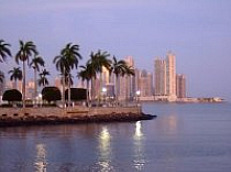 The cost of retirement in Panama depends upon where you choose to live. In the colonial town of Las Tablas you can live very well for under $1200.00. If you decide on Panama City as a retirement haven, you're looking at somewhere around $2000 a month in expenses. Retire in Panama and the choices of where to live are many...From a non-stop city life in Panama City to the quiet coastal town of Las Tablas.